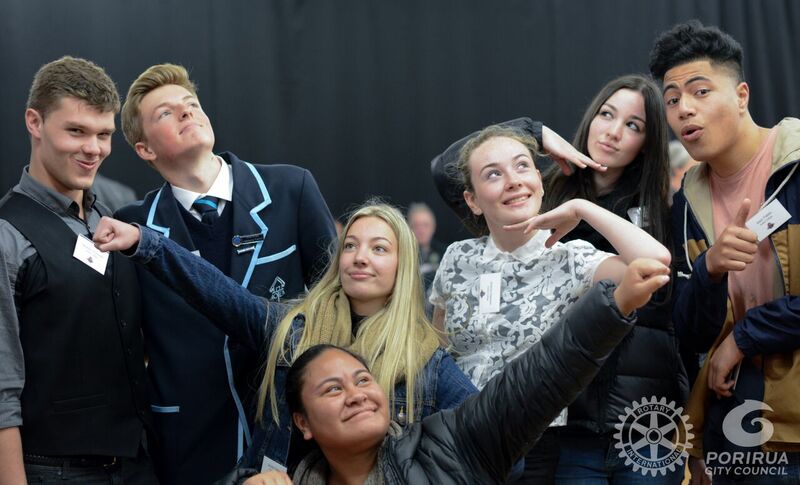 In a first for Porirua City, two senior students from every Primary School in the city have been acknowledged for their leadership skills by Porirua Mayor Nick Leggett. 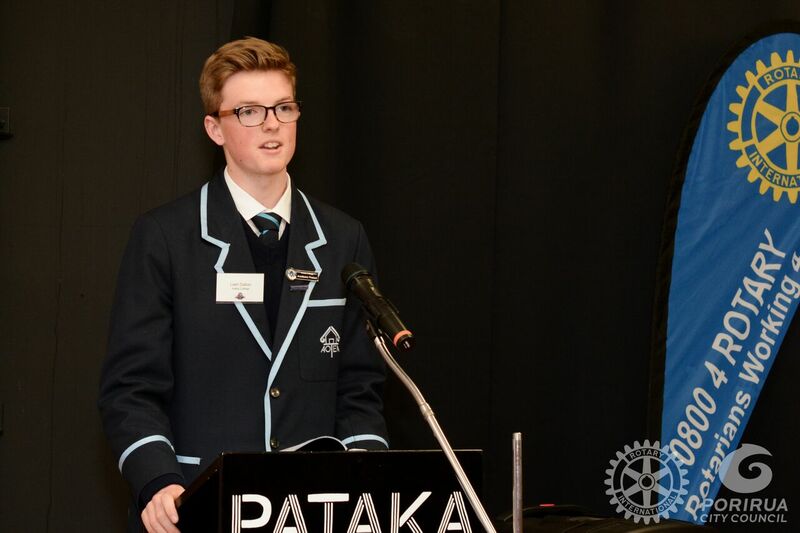 The brainchild of Plimmerton Rotary Club member Wendy Betteridge working with PCC Economic Development Manager, Chris Lipscombe, the awards were created because, whereas senior student leaders had been recognised by the community for some time, there hadn’t previously been any recognition of primary school students. “We felt it was time to present awards to younger leaders coming through our primary schools”, said Wendy. 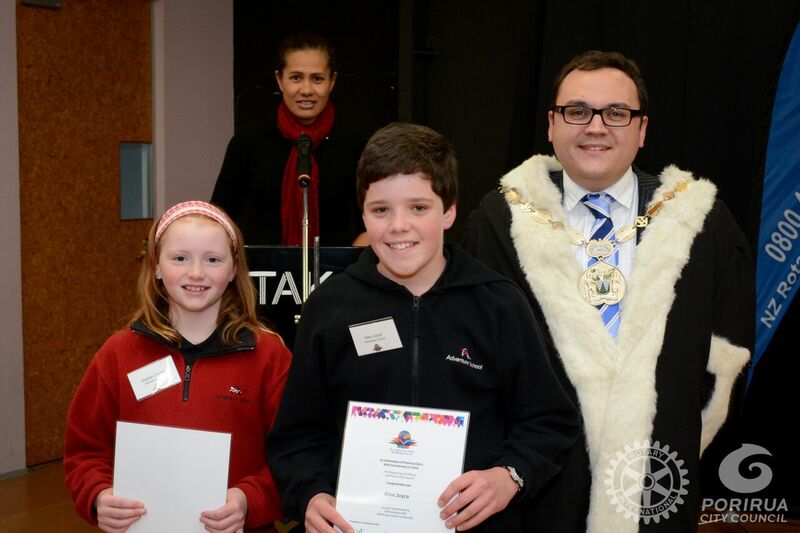 The awards were presented at a special function on 21 September 2015 at Pataka Museum, hosted jointly by Plimmerton and Porirua Sundown Rotary Clubs. 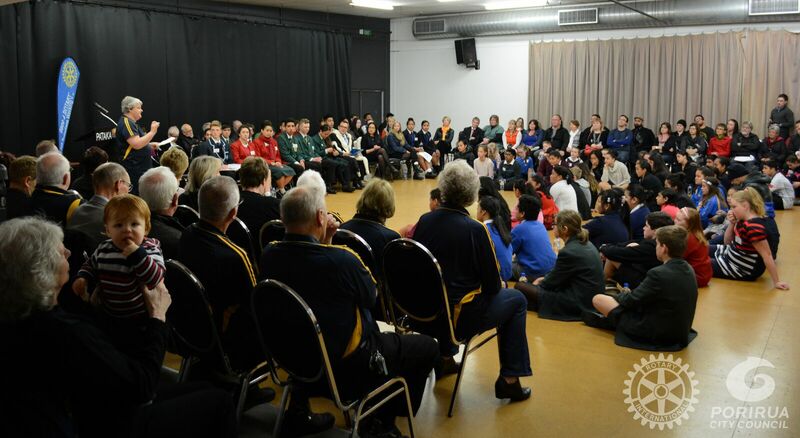 Besides the 56 award recipients, a large number of parents, principals, teachers and family were present, along with many of the prefects from Porirua City’s colleges, plus most Porirua City Councillors and senior Council staff. Liam told his young audience that achieving good grades at school was not the complete answer to being successful. “School is not the only place you learn. Work your hardest and test yourselves. Step out of your comfort zone and try new things. Make the most of every opportunity, and you be the change you want to see in the world. Each one of you is an extraordinary human being”. There are many more photos of the event that can be found here. These were taken professionally by Luke Pilkinton-Ching of Vision Photography. Original generation time 1.6918 seconds.